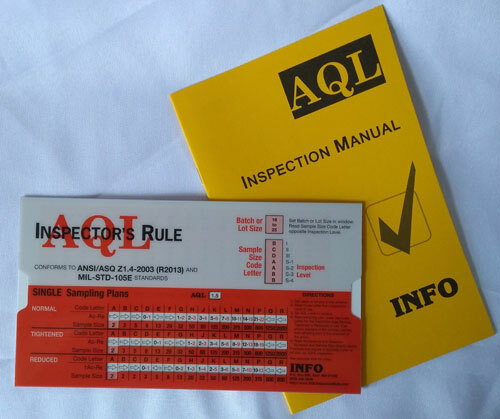 AQL Inspector's Rule with Manual. Conforms to ANSI/ASQ Z1.4-2003 (R2018) and MIL-STD-105E Standard. 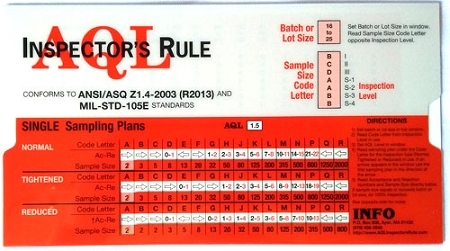 Wide range of AQL's from 0.065 to 15. Normal, Tightened and Reduced inspection. 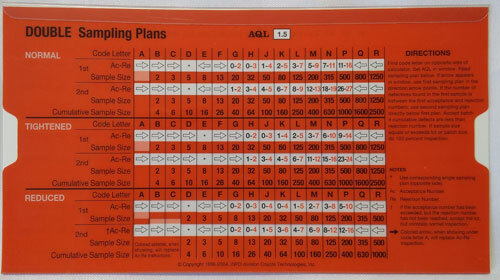 Both Single and Double sampling plans.